Premiering at Birmingham Hippodrome on 4 April & touring to Belgrade Theatre, Forest Arts Centre and Malvern Theatres. Relaxed Performances: Fri 6 Apr 7pm & Sat 7 Apr 11am. Please call Ticket Sales on 0844 338 5000 (calls cost 4.5p per min plus your phone company's access charge) to book. 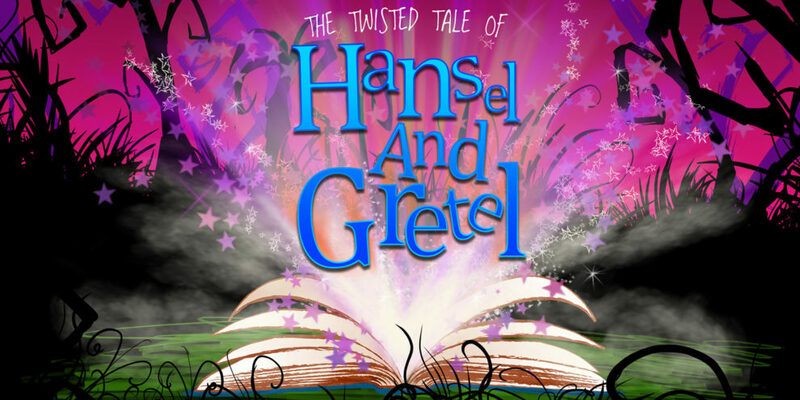 Birmingham Hippodrome has today announced details of its first in-house co-production, A Twisted Tale of Hansel and Gretel. Premiering at the Hippodrome’s Patrick Centre from 4-8 April, the show will enter production and rehearsal in the Spring before touring to three other Midlands venues in April 2018. The Twisted Tale of Hansel and Gretel will see Birmingham Hippodrome and long-term collaborators Open Theatre Company – one of the region’s leading promoters of Learning Disabled arts – support the emergence of a range of actors and artists, all members of BecauseWeCanCanCan, a learning disabled-led company based in the Midlands. The production will bring together live music, physical theatre and innovative design to recreate the classic fairy-tale for a new generation of fans. The Twisted Tale of Hansel and Gretel will be directed by Esther Simpson and features soundtrack by Charles Craggs and Design by Kate Unwin. The show will be supported by a full workshop programme, delivered by BecauseWeCanCanCan members involving over 900 children from local primary schools from across the wider Midlands. Chief Executive and Artistic Director of Birmingham Hippodrome, Fiona Allan said; ‘This is truly fantastic news both for Birmingham Hippodrome and for the sector as a whole. We’ve been working with Open Theatre Company for over a decade to provide opportunities for young people with learning disabilities in the arts. Now we have the chance to expand that work even further and make a real difference to a new generation of emerging artists living and working in the UK. Richard Hayhow, Director, Open Theatre Company, added; “This is an amazing opportunity for us to embed our long-standing partnership with Birmingham Hippodrome even further and to explore new creative paths with award-winning company METRO-BOULOT-DODO. Above all though it will enable us to support and develop career pathways for the skilled and talented performers from Because We Can Can Can and to showcase their work within some of best respected Midlands theatre venues as part of their established programmes. The Twisted Tale of Hansel and Gretel gratefully acknowledges the support from Arts Council England, Edward & Dorothy Cadbury Trust, The D’Oyly Carte Charitable Trust, Saintbury Trust and Sylvia Waddilove Foundation UK. This latest collaboration builds on Birmingham Hippodrome’s ongoing work within the Learning Disabled Theatre sector. July 2017 saw the Hippodrome play host to On The Verge – a one-day national conference bringing together over 80 venues, independent companies and artists working in the field of Learning Disability arts across the UK and beyond. The event featured keynote speeches from Associate Editor of The Stage (and long-time Guardian columnist) Lyn Gardner and Deputy Artistic Director of the RSC, Erica Whyman. Guest panellists from the UK performance industry included Sarah Gordy, an actress with Down Syndrome best known for her portrayal of Lady Pamela Holland in the 2010 BBC TV series of Upstairs Downstairs, stand-up, film maker, and impressionist Richard Newnham (Hijinx Theatre) and disabled actor Cian Binchy (Access All Areas Theatre). The Twisted Tale of Hansel and Gretel will visit The Patrick Studio from 4th to 8th April.